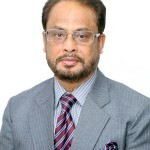 History of Jatiya Party, its emergence and activities as perceived by its activists and supporters may be described in short as follows; Chairman of Jatiya Party, Hussain Muhammad Ershad was Chief of Army during the rule of Bangladesh Nationalist Party (BNP). Justice Satter became the president of the country. Political, administrative and economic situation were abysmal and the nation was passing through a critical phase. Violence, corruption, rent seeking, property grabbing, manipulation of tenders, oppression and injustice became rampant. People were living in panic and were feeling helpless against unlawful repression and chaotic circumstances. President and the cabinet failed to tackle the situation. In view of the above, President Abdus Satter on March 24, 1982 on his own declared promulgation of Martial law and suspended the constitution by delivering a speech which was simultaneously transmitted by both radio and television. He resigned and handed over the state power to Chief of Army, Hussain Muhammad Ershad. 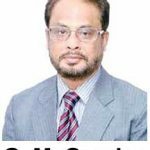 As soon as Ershad took over situation started to improve dramatically and country got rid of all anomalies within a short time. People felt relieved. Different political parties, important politicians and news media made statements in support of the takeover at that time. 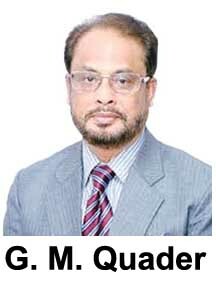 Due to good governance as delivered by Ershad when normalcy returned he declared national election in 1984. His intention was to hand over power to the elected government. Gen. Ershad did not have any political party of his own at that time to contest that election. As such, he had no scope to cling to state power after the election. But, all the political parties refused to participate in that election and Gen. Ershad had to continue. He felt the necessity of creating a pro-people political platform which would carry his views and ideologies to the general mass. 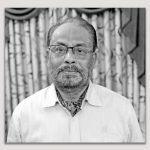 He floated Jatiya Party on January 1, 1986. His intention behind having a new political party was also to facilitate transition to constitutional rule and democracy. 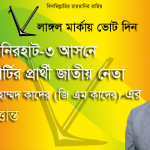 He planned to contest the national election whenever that could be held with Jatiya Party. Election took place on May 7, 1986 in which Awami League (AL), Jatiya Party (JP) and 28 different parties participated. BNP was the only important political party that refused to participate. JP came out as the winner and formed government. Constitution was revived and constitutional rule re-established. During the period when Ershad ruled there was almost no incidence of rent seeking, tender manipulation, violence, repression, kidnapping, murder, extra-judicial killing etc. All sorts of criminal and unlawful activities were dealt with iron hand. Impunity to party people was not allowed. 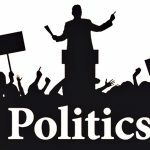 No government facilities, jobs or business were disbursed on partisan consideration. People by and large felt secured and were in mental peace. 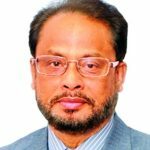 Ershad could make a place in the heart of general public for the development works, economic prosperity, reform initiatives and good governance he delivered. He continued as head of government for a total period of almost nine years. A section of the people, especially some intellectuals and various members of opponent political parties did not like to accept the said version. They tend to say that Gen. Ershad took over power not in accordance with any accepted practice. His exercise of authority also did not fall in the category which could be considered right as per ethical norms. As such, whatever circumstances might have existed at the time of his assuming power they are not agreeable to give it legitimacy. Similarly, no matter what benefits people got for various development works, reform initiatives and economic activities, they feel comfortable in terming those as autocratic actions. 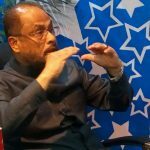 When Gen. Ershad, had to take over the responsibility, was there any other option through which peoples’ expectations could be fulfilled? People wanted sweeping change of the existing circumstances. They looked forward for getting rid of an unbearable political environment. The said change over did meet the expectations of the people which became obvious when they provided an enormous support, quite spontaneously. Almost all the political parties and important political leaders supported the action and made statements accordingly. These are historical truths. 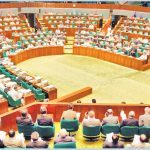 Different pro-people programmes, development activities and reformative actions were taken during the nine years period of Gen. Ershad and Jatiya Party rule. A long list of those activities is known to most people. 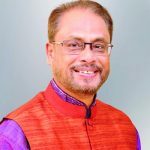 Political opponents raised different allegations against Ershad and Jatiya Party government, like disruption of democratic dispensation in governess, gagging of peoples’ voice, corruption, oppression and torture by government administration and ruling party muscle men. Mass media was vocal against those accusations. 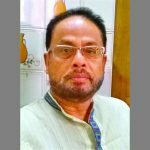 Since departure of Ershad and Jatiya party government in December 1990, quite a few governments of other political parties or alliances ran the country. There is no denying the fact that charges were not discontinued. Moreover, extend of said assertions aggravated further subsequently. 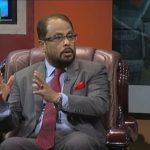 Reform activities initiated by Gen. Ershad faced serious resistance. He went ahead with implementation schemes irrespective of defiance from different vested quarters, professionals and politicians. He was being termed as ‘Autocratic’ mainly because of the way he imposed reforms. Few of reform activities may be mentioned as follows:- creation of sub-districts (Upo-zilla) as the lowest level of administrative unit and be it run by representative directly elected by people of that locality, making sub-districts to be the growth centre and organize broad based communication and connectivity network; decentralization of higher judiciary by setting up high court benches at few locations in different parts of the country; fresh education policy, health policy, drug policy, land reform policy; allowing universities, banks, insurance in the private sector; creation of Pothokoli Trust, an organization to look after the welfare of children who grow in streets, Guchchha Gram, small cluster villages made by government with basic facilities to shelter homeless and ultra poor population; allowing armed forces personnel to work in various conflict zones as members of UN peace keeping mission, etc. All those works and initiatives can be said to have been accepted as pro-people. 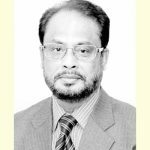 As almost all schemes though were temporarily discontinued after departure of Ershad, were ultimately revived and/or re-implemented by subsequent governments with partial modification or with different names. 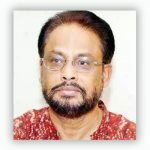 JP emerged at a crucial time in the history of Bangladesh politics. Whoever says what, it contributed significantly towards development of the country, especially in respect of building of infrastructures and for various reform works. It put the country on the road to modernization. Due to its different contributions, it could make a positive impression in the mind of people. For that, JP still commands considerable public support and is still being seen as a determining factor in politics.